Delaware Design-Lab may be right for you! Learn about the coolest new high school in Delaware that will put you on the path to college and career opportunities! 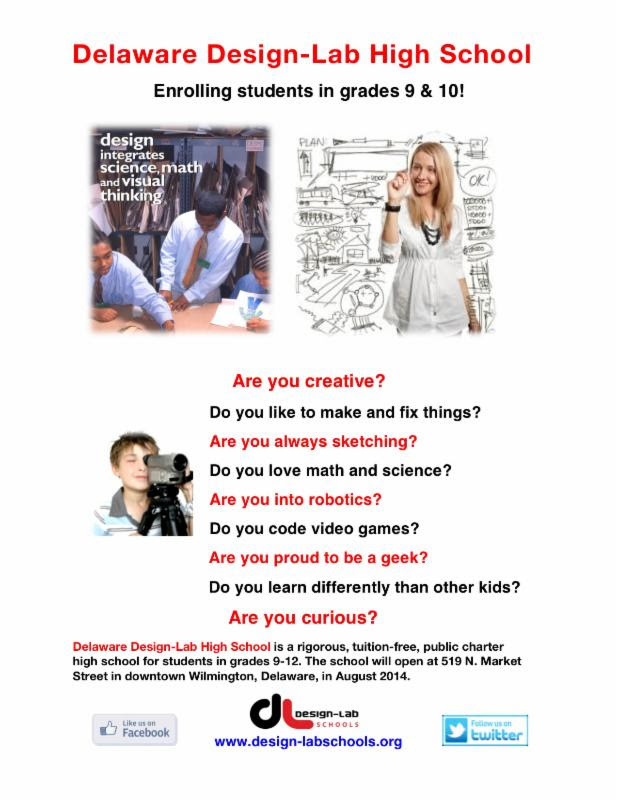 Delaware Design-Lab High School is a rigorous, tuition-free, public charter high school enrolling for Grades 9 & 10, opening in August 2014 at 519 N. Market Street in downtown Wilmington.